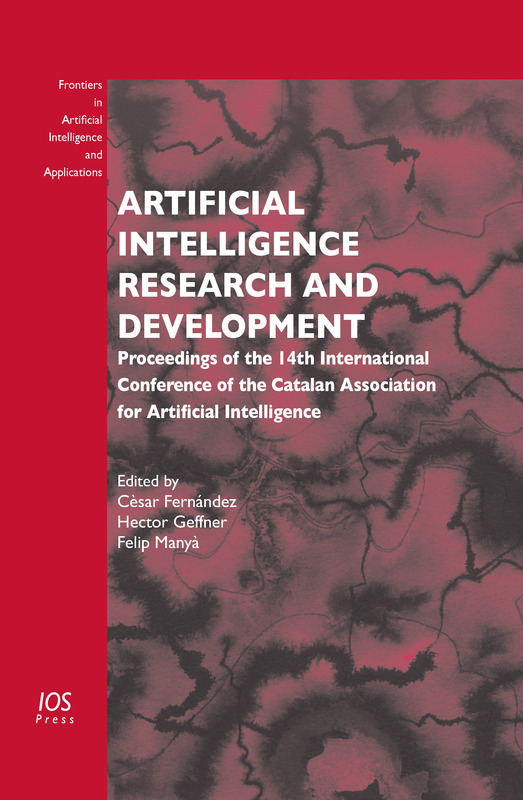 This book is a collection of the papers accepted for presentation at the 14th International Conference of the Catalan Association for Artificial Intelligence (CCIA 2011), held at the University of Lleida in October 2011. From the 28 papers submitted, 24 were accepted for inclusion in this book and for oral presentation at the conference after a careful reviewing process. The conference also featured invited talks by two outstanding international researchers: Christian Bessière of CNRS, University of Montpellier, France, and Bart Selman of Cornell University, USA. The CCIA conference brings together researchers from different areas of the Catalan-speaking AI community and promotes cooperation among local research groups. Topics covered include agents and multiagent systems, constraints and satisfiability, evolutionary computing, knowledge representation, machine learning, natural language, planning, reasoning models, robotics, search and uncertainty. This book provides a glimpse of the current AI research in Catalonia and aims to inspire new ideas and further work. It will be of interest to all those working in the field of Artificial Intelligence. Edited by: Fernández, C., Geffner, H., Manyà, F.